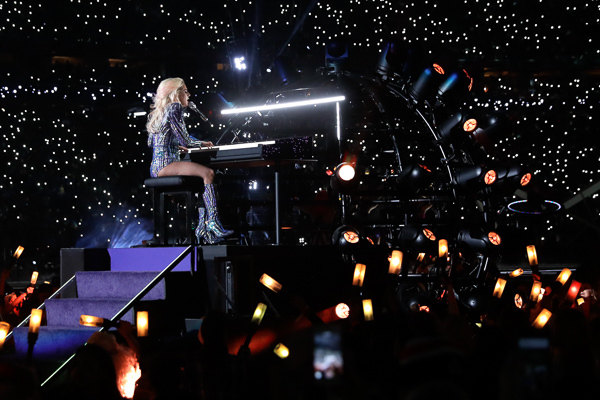 HOUSTON (KTRK) -- Besides the historic Super Bowl win by the New England Patriots over the Atlanta Falcons, another memorable moment Sunday night was Lady Gaga's show-stopping performance during halftime. 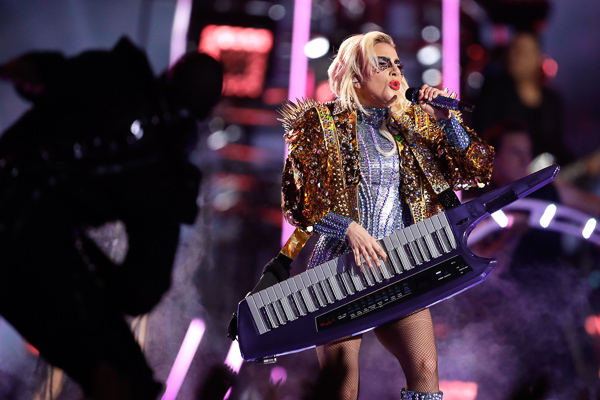 Gaga pulled out all the stops, including a little TV magic to bring viewers an epic Pepsi halftime performance. 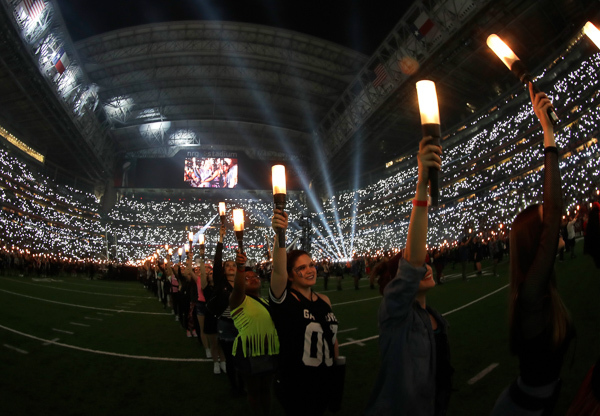 Gaga started things off from the top of NRG Stadium with hundreds of lit drones flying into a flag formation behind her. 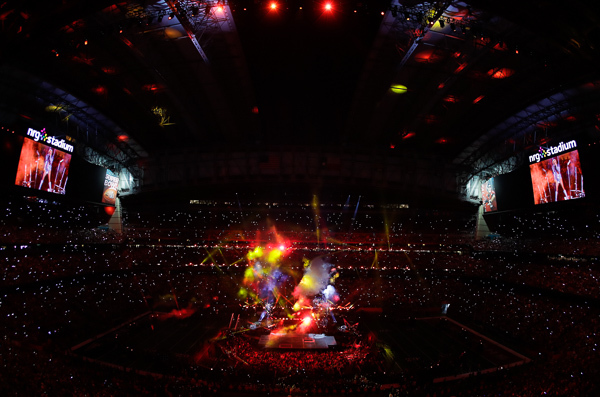 She then jumped down into the stadium, dangling and flying by a harness. 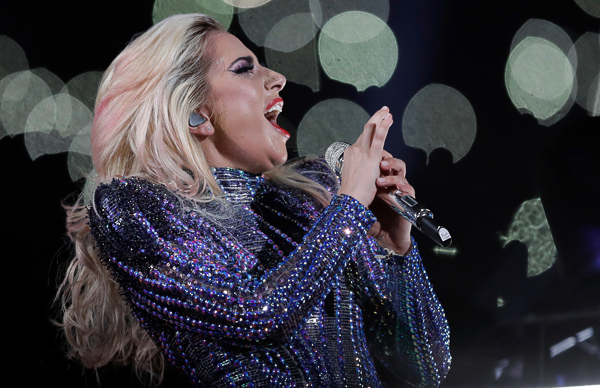 Once she reached the ground, Gaga sang a medley of her biggest hits including "Born this Way" and "Just Dance." 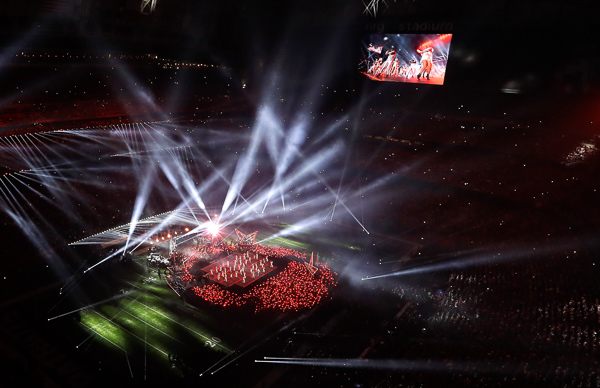 Everyone was mesmerized by her performance, but that opening jump wasn't actually what it appeared on live TV. If you go back and look closely at the video, you can see Gaga was actually hoisted to the top of the roof, so her jump was pre-recorded. It was still an amazing stunt.